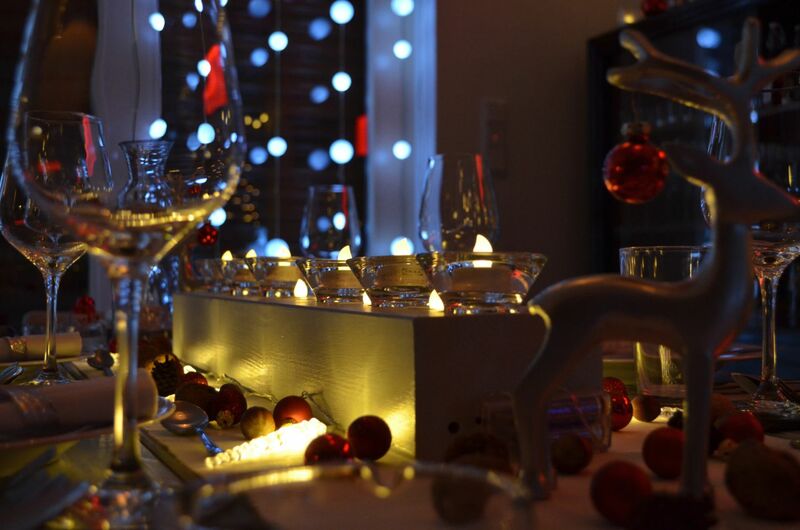 Home > News > How to Survive the Christmas Party Season! It is that time of the year again – The annual work Christmas Party has arrived. Everyone from all departments forget all those annoying little habits of those we have to spend most of our time with every day and the differences of opinion throughout the year relating to how the company is run. It is time to let your hair down and have some fun. Remember though, this is the time of the year when people admit to having had an embarrassing mishap or experienced an accident at their work Christmas celebration and you will have to face your colleagues again in The New Year. If you do take those festivities a step too far the following is a guide as to what to do, along with some tips on how to keep safe. If you find someone who has collapsed because they have drunk too much, the first thing to do is to check for Vital Signs, however, alcohol can make it difficult to assess the severity of a casualty’s symptoms. Vital Signs are life signs and provide information helping you to make decisions about the treatment required for the casualty. The key signs are, alertness, breathing, colour and temperature. Put a systematic accident procedure into place – Assess for danger to minimise environmental and cross infection dangers. Assess the casualty for response. If no response then roll the casualty on to their back, open the airway and then look, listen and feel for breathing for up to 10 seconds. Make the decision what to do next depending on response and breathing characteristic. For the casualty who is either alert, or not alert but breathing effectively, the first aid treatment is to move them to a stable position that maintains their airway – the Recovery Position. Get help and someone should stay with the casualty at all times, this is particularly important if they are vomiting. If someone is drunk it can be harder for them to maintain their body temperature and they can quickly experience hypothermia. It is important to keep the casualty warm with a jacket or blanket. Always do a Circulation check to look for any bleeds etc. If someone has hit their head and they are drunk; they should always be seen by a medical professional. Anyone who has suffered a head injury should be monitored for the next 48 hours to check for any signs of brain injury; this is absolutely vital if they have been drinking or have taken any other substances. If concerned, call an ambulance immediately. On cold winters nights it is important that you can get home safely after a Christmas party. Book a reputable taxi in advance to collect you from the party. Arrange as a group to drive and have an allocated designated driver who will not drink that evening. If you are planning to take public transport plan your route first and travel as a group. If you in a bar and feel uncomfortable by someone who is speaking to you, many bars have a scheme such as Ask for Angela or Angel Shots, where you can go to the bar and the code word will ensure they discretely call you a cab and enable you to escape safely. Finally, always keep an eye on your drink, never leave it unattended as sadly it is relatively common for men and women to have their drink spiked. It is all too easy to get carried away and be a bit over enthusiastic with the dancing moves. There is always someone who loves to show off their bad dancing. Before you know it they have tripped over someone’s handbag and find themselves sprawled on the floor unable to move. If someone has tripped/fell on the stairs put a Systematic Accident Procedure into place. Assess, Check the airway, Breathing and make a decision on what to do next. If breathing is normal do a Circulation Check to look for bleeds/injury. Be firm but gentle. Look or feel for pain response, swelling, bruising. Give emotional support. If presentation is pain, tenderness, loss of function, bruising or swelling, treat with Immediate Temporary Care – known as RICE. Rest – Keep the casualty still and take their weight from the injury with the injury site in a comfortable raised position if possible. Ice – Ice or cold packs reduce the tendency to become swollen, lessen bruising and pain. Hold against the injury firmly for not more than ten minutes. Comfortable Support – Either leave the cold compress in place or wrap a layer of soft padding around the injury site. Apply a firm (not constructive) bandage to the injured area. The bandage can be applied over a crushed ice pack for the first 10 minutes. Check circulation beyond the bandage every ten minutes and loosen if circulation is compromised. Elevation – Raising the injured limb lessens bruising and swelling thus preventing worsening. Seek medical attention where any fractures can be confirmed by x-ray. If a fracture is suspected the first aider must strive to prevent movement at the injury site. This can be achieved by encouraging the casualty to support their injury. Open fractures should be covered with a sterile dressing and sterile support padding if the casualty allows to reduce the risk of infection. If you would like to refresh your first aid skills, why not come on one of our First Aid Courses. We offer one day Emergency First Aid at Work, Two-day First Aid at Work Refresher and Three-day First Aid at Work courses. Get in touch by leaving a message on the contact page, by email or by message on our Facebook Page. Finally, take care and enjoy yourself. Wishing you all lots of fun.